We are going to get a lot of hate mail for featuring yet another BMW and an E30, but the series-2 (small bumper) E30s are a great bargain for a daily driver that will become a future classic. All you need to know: free revving inline 6, rear wheel drive, limited slip-diff, manual transmission...it doesn't get much better for less than $10k...just go ahead and call us fan-boys. This 1987 BMW 325i is for sale in Philadelphia, PA for $6500 via the bimmerforums.com classifieds. 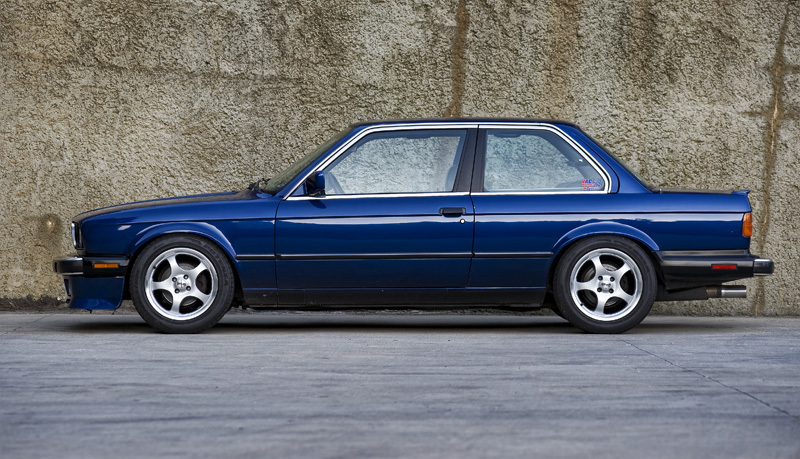 The E30 was given a significant mid-cycle refresh in 1987, and the later cars look more modern but lost some of the classic shark styling that it shared with the e21, e24 and e21. Regardless the series 2 cars command a much higher prices, but are still affordable when compared to many inferior driving machines. 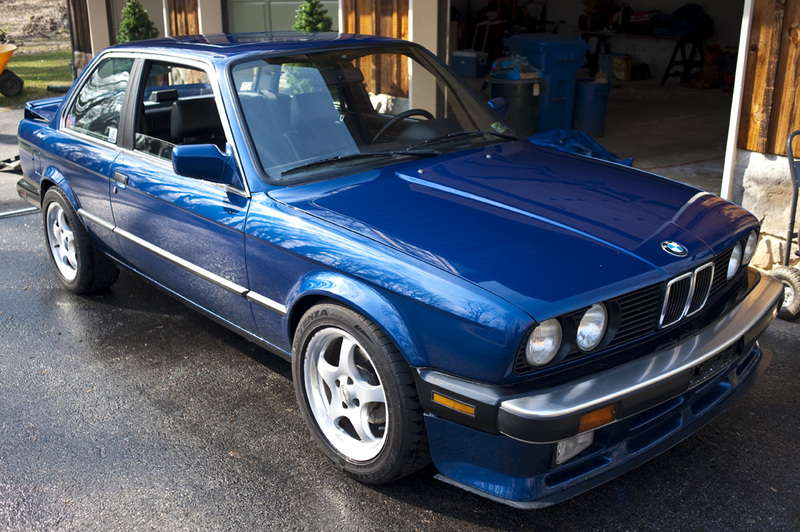 This E30 is currently owned by someone who runs the VAC Motorsports bimmerforums account, either an employee of VAC or the owner. This is a good thing because folks who work for BMW performance shops have access and understanding of the cars at a much higher level than the average hack and the numerous performance parts should be installed correctly and in good shape. The original M20 inline 6 has been rebuilt and upgraded, and a quick glance at the build sheet shows that could be good for 200-225 horsepower. 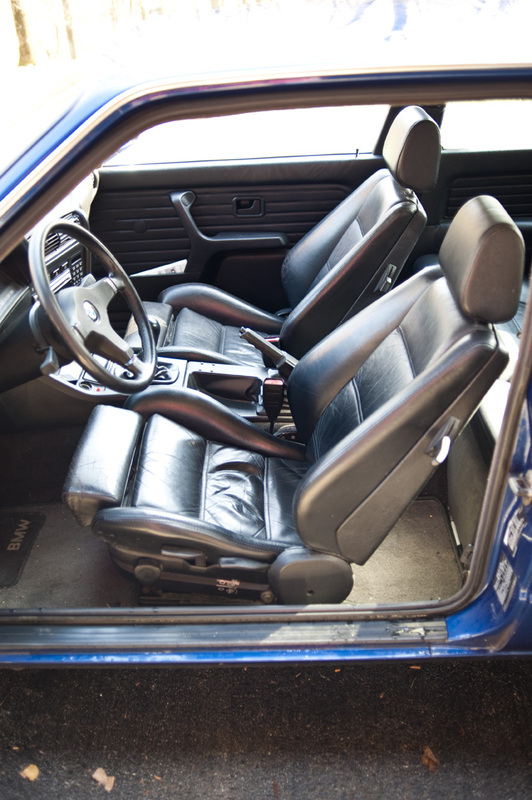 The seats in the photo above are out of an E30 M3 and the leather is in excellent shape. The suspension has also been massaged in this E30, including lowering springs, custom valved shocks and poly/delrin bushings that will go squeek-squeek-squeek when ever the temperature drops below 60 F. The bushings will sharpen up the suspension and steering reflexes and the only cost is the sound of a few crickets chirping on cold mornings. Overall we think this car is would be a great daily driver and is offered at a very reasonable price. Now this is a great deal on a really nice BMW. I would not put this one in the despised yuppie mobile class due to its manual granny and nice upgrades. The suspension upgrades are important because Philly has more potholes than Geno's has cheese steaks. Had a new '87 325 is in 1987....5 speed , sunroof.always a sunroof etc.........had it until 1995 when I bought a 3181c..E 36 which I still have with 226,000 miles. I like the E 30's a lot. The only problem I had was the rear end went out.can't remember the details,at 19,000 miles....replaced under warranty by BMW. No further problems till I sold it for the E 36. This car has the same diving boards that came out in '84, not the shorter '88s. '88 was a partial redesign including the later, more attractive tail lights and a different front valance but continuing the diving boards, albeit a shorter version. '89 was a switch to more petite bumpers. I had a '90 325i 2-door 5-speed in Alpinweiss II over black leatherette... which I rolled into a ditch at low speed. No bodywork was needed for the windshield to fit afterwards, but the quarter and door frame needed a little work. I rolled it with the sunroof open- it still worked and didn't bind in the least. I drove it like that for a year and a couple months then sold it to a guy who used it as an autocrosser. E30s are built like tanks; build quality is honestly more '60s Mercedes than '90s BMW. My next e30 would be a 318iS, however, as the weight is significantly less and the car is all the better for it. The other option is a Z3 M52-based 2.8L, which has an aluminum block and you'll end up losing weight on the nose compared to the M20B25.